Prominent & Leading Manufacturer from Mumbai, we offer baldor motors. 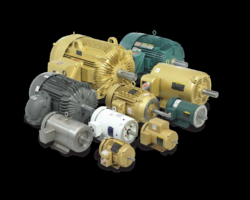 For nearly 100 years, Baldor has strived to provide customers with the best value and reliability in industrial electric motors.Baldor has what it takes to help every industry and application reach new levels of efficiency and energy savings even under the most demanding conditions. Baldor-Reliance® motors are designed to operate reliably no matter how challenging the process or application, and to have low life cycle costs.Whether it’s a motor for harsh, outdoor conditions at a petrochemical plant, or for continuous duty in a distribution center,customers have a variety of choices either from stock or designed to fit specific requirements. We know there are many options when it comes to buying the products you need. To help maintain your competitive edge,we offer the latest technologies to improve process reliability while driving operating costs to a minimum.